About two months ago I was gifted a bag of raw hazelnuts, and by raw I mean they were still in their cocoon of a shell. I knew I wanted to do something fun with them, but they sat on my counter for days, then weeks, then months. I was then gifted a second bag, and to avoid becoming the Filbert hoarder (did you know Filbert is another name for hazelnuts!?) I knew it was time to put these bags to use. There was only one problem, how would I de-shell them? 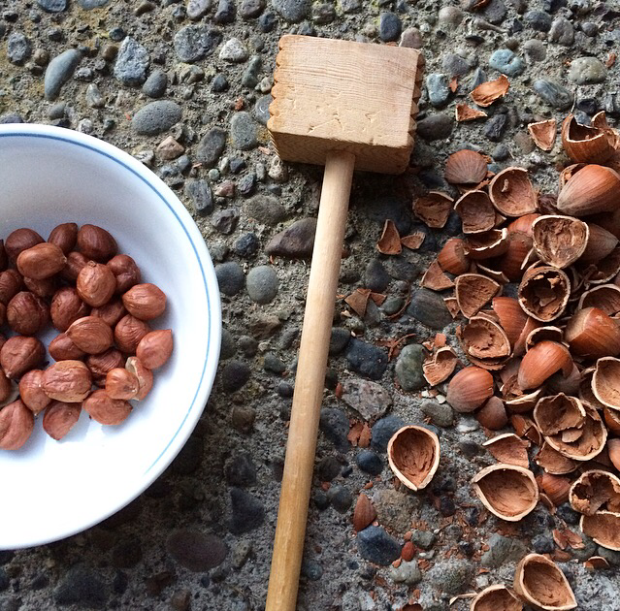 I grabbed a wooden kitchen mallet, stepped outside, squatted like I was using the bathroom in the woods, and smashed over 100 hazelnuts. Talk about being connected to your food. I then took my fresh nuts and made the inevitable. 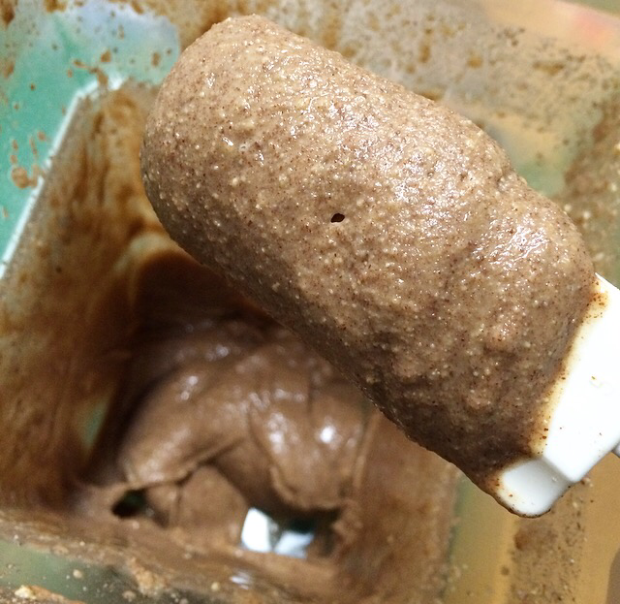 Hazelnut butter!